Oladunni is a versatile business expert with almost 2 decades of cosmic professional experience spanning several industries such as Energy, Oil and Gas, FMCG, Education Management, Ecommerce, Real Estate, Investment banking, NGO (to mention a few) with wide geographical exposures across different countries. She has very strong analytical background designing business decision models for organisations. Oladunni is also a certified business and career trainer, consultant and prolific writer. She has written several published and unpublished commentaries, quality management documents and professional books. She is the author of the award winning oil and gas book: “Blackgold Refinery Business Made Easy; the ultimate guide to Oil and Gas Refining business”, a book focused on refinery profitability. 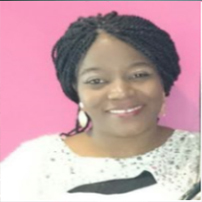 As a business consultant and trainer, Oladunni has mentored several upcoming companies with major focus on profitability ensuring the companies made good return on investment (ROI) within realistic payback period. She has also coached several top level business executives. She is a frequent speaker at business events and has anchored several inductions, trainings, seminars and workshops for organisations across the several countries.